LED Step Lights - Black 40mm Metal Trim with Hood Mini Round Deck / Step Accent Light - 1 Watt: Shown Installed In Deck And On. 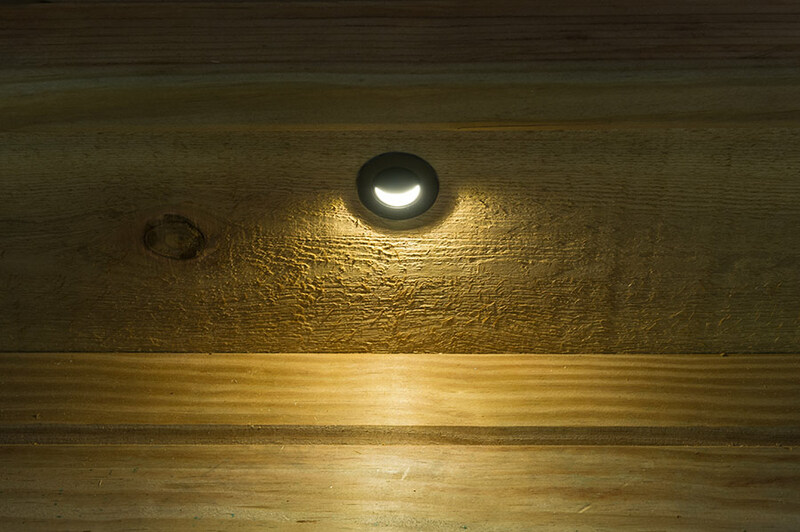 LED Step Lights - 6 LED Mini Round Deck / Step Accent Light: 360° View. 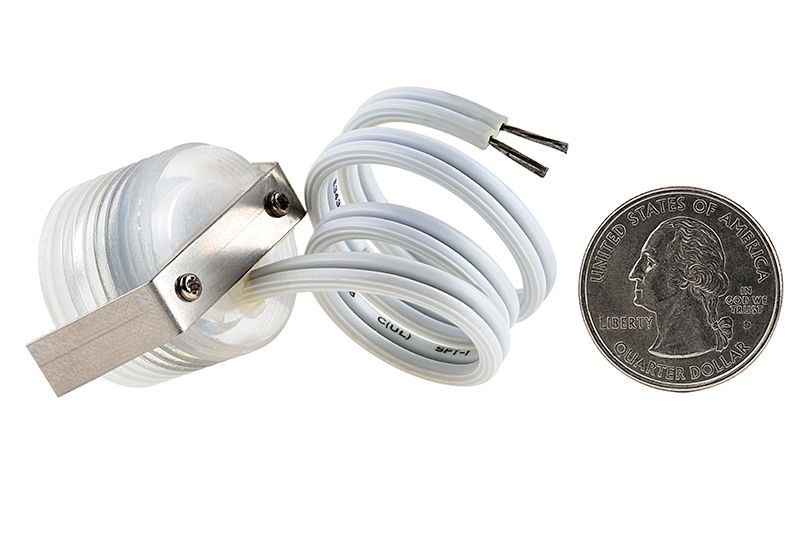 LED step lights are a great way to add useful safety lighting to your step or deck walkways. 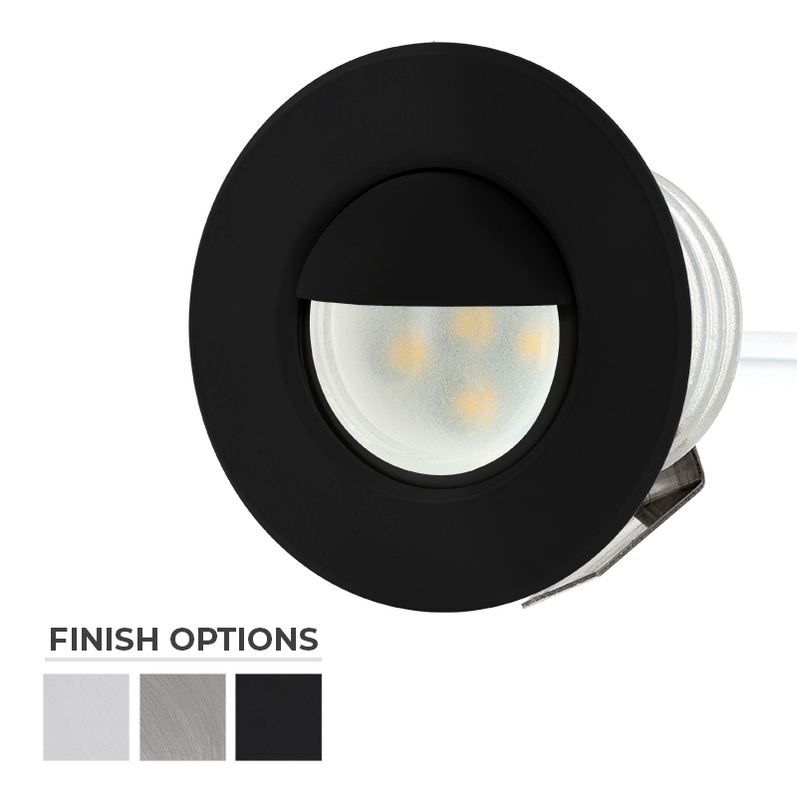 This durable light is ideal for deck steps but can also fit many outdoor lighting needs such as pathway lighting and deck accent lighting. 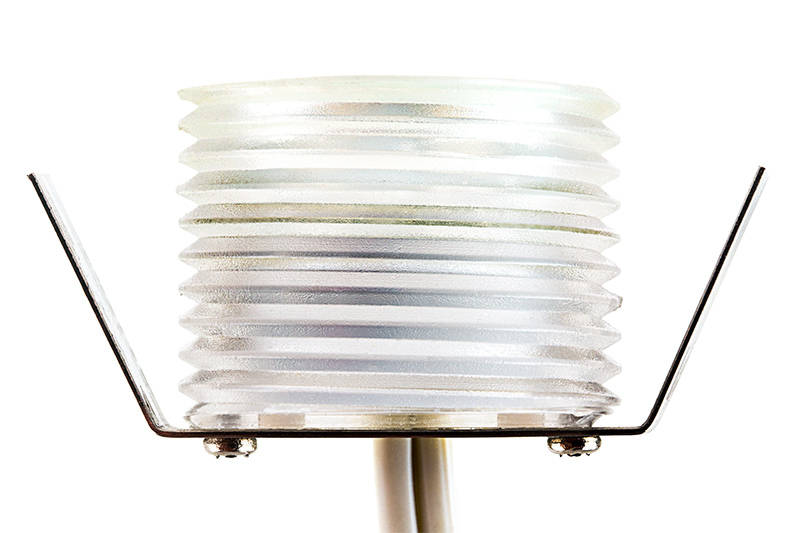 6 Saman LEDs have an output of 25 lumens and create a wide 90° beam angle for aesthetic accent lighting as well as functional ambient lighting. 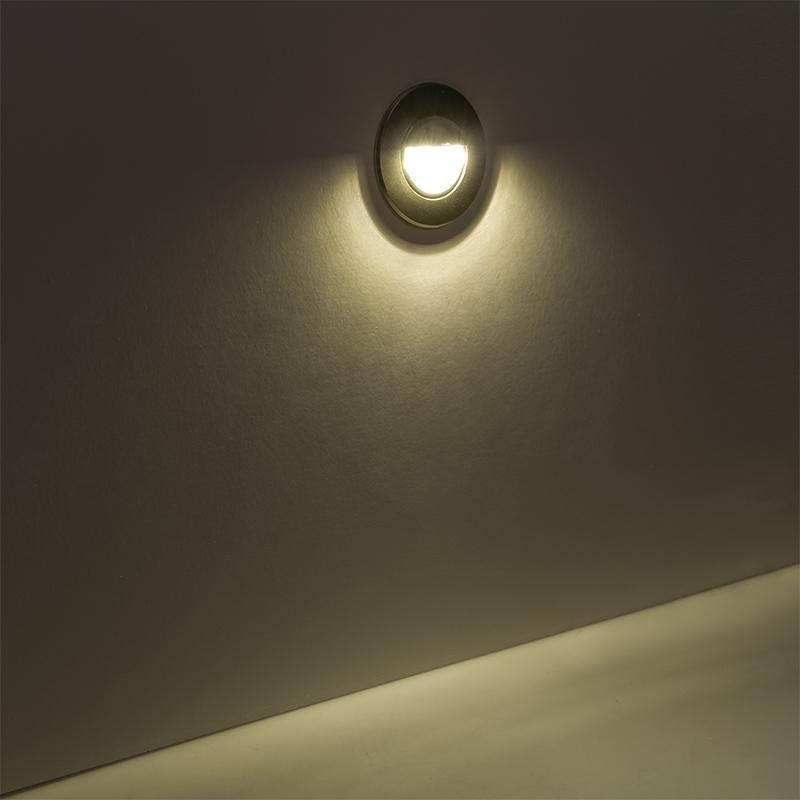 Wired directly to your existing landscaping system, this low-voltage step light uses very little energy and has 12V AC/DC operation. A waterproof polycarbonate housing seals all internal components, and the frosted glass lens produces smooth, soft light with no glare. 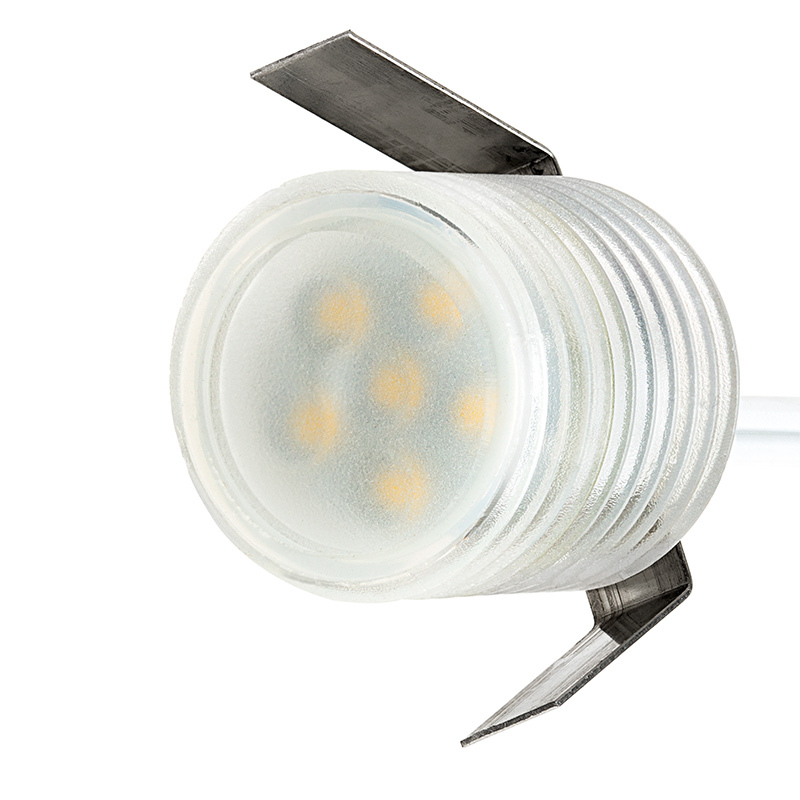 The warm white or natural white LEDs are designed to last 50,000 hours. Select a face plate to match your designs. 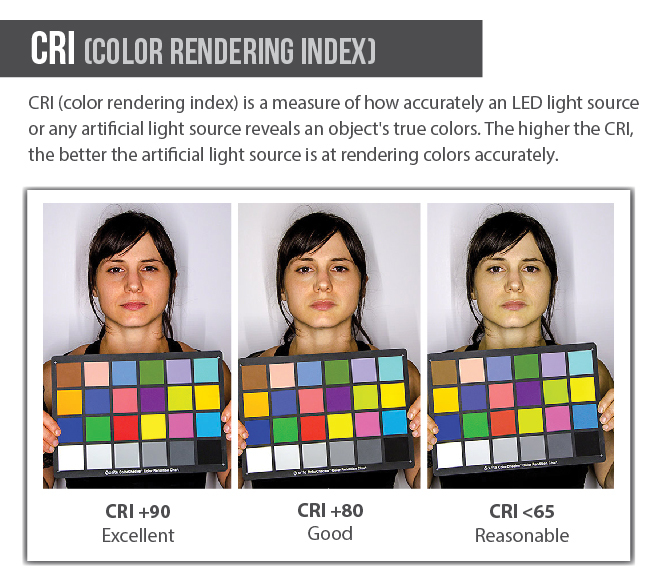 See similar 1-LED version.